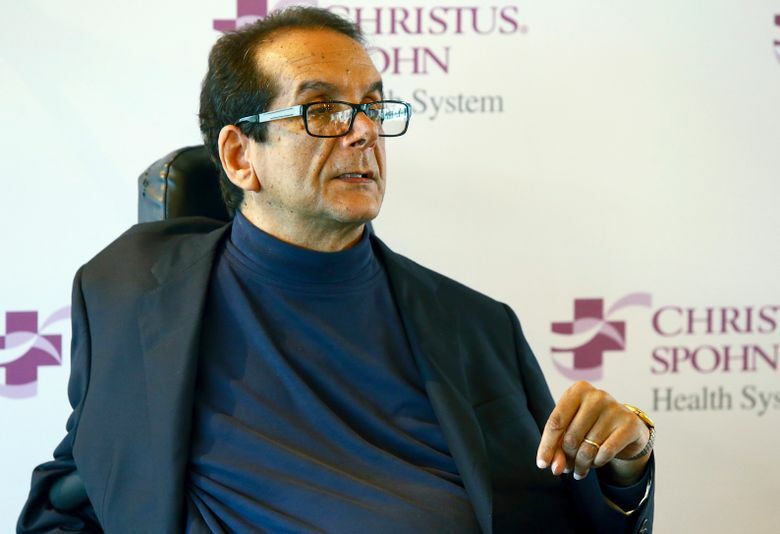 NEW YORK (AP) — Charles Krauthammer, the Pulitzer Prize-winning columnist and pundit who helped shape and occasionally dissented from the conservative movement as he evolved from “Great Society” Democrat to Iraq War cheerleader to denouncer of Donald Trump, has died at age 68. “As I became convinced of the practical and theoretical defects of the social-democratic tendencies of my youth, it was but a short distance to a philosophy of restrained, free-market governance that gave more space and place to the individual and to the civil society that stands between citizen and state,” he wrote in the introduction to “Things That Matter,” a million-selling compilation of his writings published in 2013. As of midday Friday, the hardcover edition of “Things That Matter” Was No. 1 on Amazon.com. The paperback was No. 2.